Neon-bright, redder than red plumes: a summer-long astonishment of color. Brilliant, neon-bright, redder than red plumes present a summer-long astonishment of color. Fiery plumes with feathery spikes on red stems float above attractive dark, deep-purple leaves. 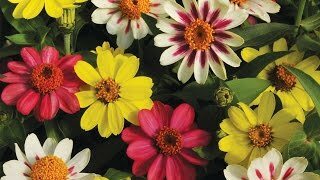 Fleuroselect-winning variety’s easy-growing 14-16” tall plants create colorful drama and lovely contrast in the bed, border or container. Plants thrive in heat and sun. Great cut flowers, fresh or dried. Full sun. Celosia, Chinatown is rated 3.7 out of 5 by 3. Rated 5 out of 5 by scrubbrush from Phenomenal! These are still going like gangbusters, well into December! They are a super bold dark red and really make me feel like a green thumb, because they aren't any work. All I've had to do is stake a couple of them that flop under their own weight, but they're in a pot. If they were in a bed, they would have the support of other tall plants. I put these right out front to make a flashy statement. I'll be planting these from now on! Rated 5 out of 5 by Weedwhacker from Beautiful! I grew this from seed in 2017 and absolutely loved it! The contrast of the dark foliage and the radiant flowers was extremely striking. The catalog description indicates they thrive in heat, but we had an unusually cool, wet summer, and they did fine in those conditions as well. Rated 1 out of 5 by Terry Disgruntled from Really unsatisfied seed count was wrong add they . Seed count was really wrong and they didn't grow. And I can grow anything.